In the wake of alleged Russian meddling in the 2016 U.S. presidential race, Maryland is close to enacting a law that some experts say would set a new standard for how states deal with foreign interference in local elections and increase overall transparency in online political ads. The measure is similar in some respects to one introduced in Congress that would require digital platforms with at least 50 million monthly visitors to maintain a public file of advertisers who spend more than $500 in ads on the platform. But Maryland's measure—crafted to catch ads displayed in smaller state and local elections—would apply to digital platforms with 100,000 unique monthly visitors. Maryland does not have a monetary threshold, though the law would only apply to platforms that reach more than 500 people. "I think this is a good template for a national model," said Bradley Shear, an attorney who specializes in technology and social media who believes the 50-million threshold proposed by Congress doesn't cover enough platforms. "Obviously, every state has their own particular nuances, but I think the basic premise of the bill and what it requires is greater transparency and greater accountability." Facebook CEO Mark Zuckerberg, testifying before Congress earlier this month, acknowledged that the company's mistakes led to the personal information of 87 million of its users being turned over to Cambridge Analytica, a data-mining firm tied to President Donald Trump's 2016 campaign. That, and a host of other privacy concerns, has prompted loud calls for government regulation of social media companies. "We believe this bill will be a national model for the other 49 states to follow," said Will Castleberry, Facebook's vice president of state and local policy. 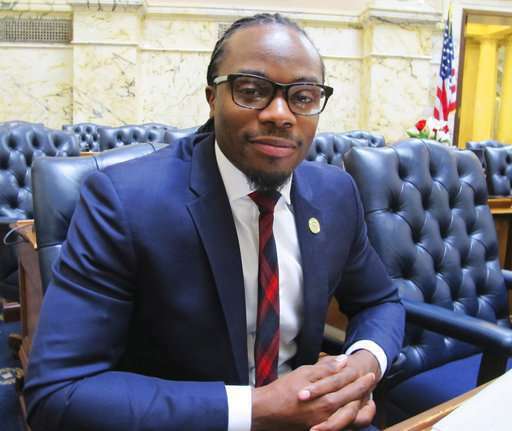 Ian Vandewalker, who has studied foreign election interference at the Brennan Center for Justice at the New York University School of Law's Democracy Program, described the Maryland measure as "a cutting edge bill." "This is a direction that more states need to follow, and I think we will see more states engaging in this effort," Vandewalker said, noting a similar bill has been introduced in California. "I think we're sort of on the verge of a movement through the states on this issue." The Maryland measure also requires ads to be purchased in U.S. currency. Investigations into Russia's suspected cyber intrusion in the 2016 elections found that ads on Facebook meant to foment discord over issues like politics, immigration and gun control were made in rubles. In February, special counsel Robert Mueller accused 13 Russians of plotting to disrupt the 2016 presidential election by running a social media trolling campaign. The Maryland-Delaware-D.C. Press Association, an association of media outlets, opposed a provision in the bill requiring sites to publish political ad purchases. Rebecca Snyder, the association's executive director, said the group supports transparency in elections but opposed that part of the bill as a violation of the First Amendment by forcing publication. The group includes The Baltimore Sun, which has more than 5 million digital visitors a month. "This is compelled speech in our view, and it's a huge issue with us, and we were unable to come to an agreement with the sponsors on this," Snyder said. "It's completely behind the times, and this is catching it up," he said.